Cheshire second baseman Ariana Perlini makes a throw to first base against Hand on Wednesday. MADISON — With the usual spring weather wreaking havoc with schedules, it had a been a week since Cheshire had played a softball game. You wouldn’t have known it one bit. The Rams exploded for nine runs and 12 hits to record a 9-2 victory over host Hand in a Southern Connecticut Conference interdivision contest Wednesday afternoon. It was the start of a four-day stretch in which the Rams will play four games, three against SCC foes. Cheshire pitcher Brianna Pearson did most the damage. Not only did she record the complete game victory, but she collected four hits, scored four times and drove in two runs. INSIDE THE CIRCLE PODCAST – Ep. 1: Who’s who and what’s what? Drust beamed when talking about Pearson’s performance. Pearson was able to get out of a bunch of jams throughout the game as Hand left seven runners on in scoring position and 11 baserunners overall. “I don’t think the score was representative of the game,” Hand coach Mike Niekrash said. “We had runners on base in almost every inning. They made the plays and we didn’t take advantage of the situations when we had them presented to us. Cheshire took an early 4-0 lead, scoring one in the second when Pearson doubled and scored on an Alexis Hemstock ground out. 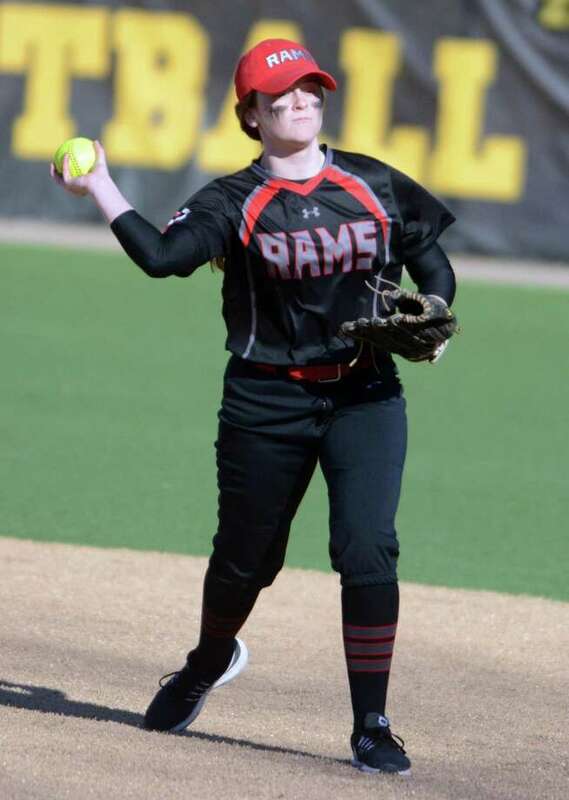 The Rams added three more in the third inning when Pearson and Hemstock each doubled in a run with the other run scoring on a ground out by Lindsey Abramson. Brianna Floyd singled in a run for Cheshire in the fourth to make it 5-0 before Hand finally got on the board in the bottom of the inning. Megan Hart walked and Abby Cody followed by blasting a run-scoring triple that took one bounce off the wall in center field. Hemstock singled in another run in the fifth inning to make it 6-1, before the Rams added three more runs in the sixth with Floyd and Pearson singling in runs and Abramson adding another on a sacrifice fly. Hand closed out the scoring for the afternoon in the bottom of the seventh on a Caroline O’Connor single. The Tigers had two runners on and the run in with none out in the inning, but Pearson settled down to retire three hitters in the row to end the game. Hand fell to 1-3 with the loss, but Niekrash isn’t disappointed. Comments: Records: Cheshire, 2-0. Hand, 1-3. Cheshire: Brianna Pearson pitched a complete game, allowing 2 hits, while collecting 4 hits, scored 4 runs and had 2 RBI; Brianna Floyd had 2 hits, scored 3 runs and had 2 RBI; Alexis Hemstock, 2 hits and 3 RBI; Lindsey Abramson drove in 2 runs. Hand: Grace Kuck had 3 hits; Christina Coric and Grace Hartmann each had 2 hits.